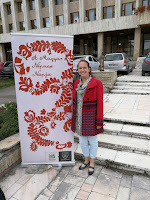 The Multicolored Diary: Red-haired girl goes traveling - Storytelling festival in Transylvania! 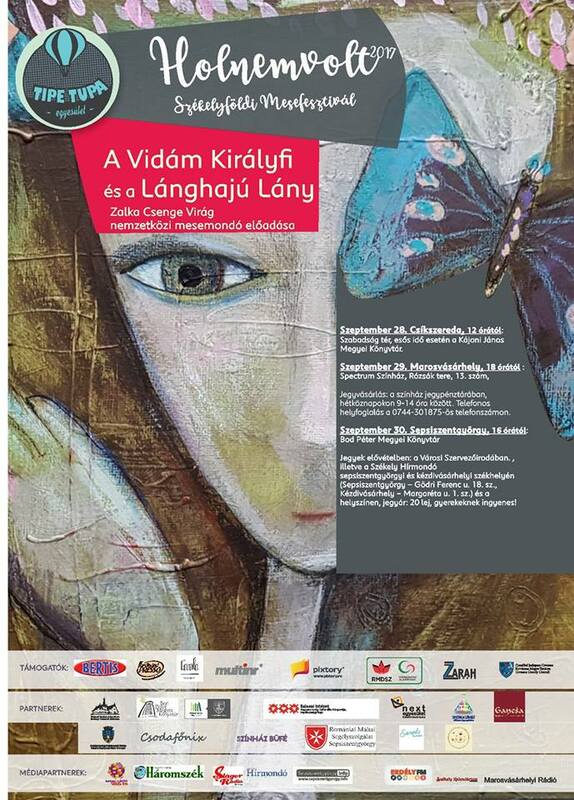 Red-haired girl goes traveling - Storytelling festival in Transylvania! 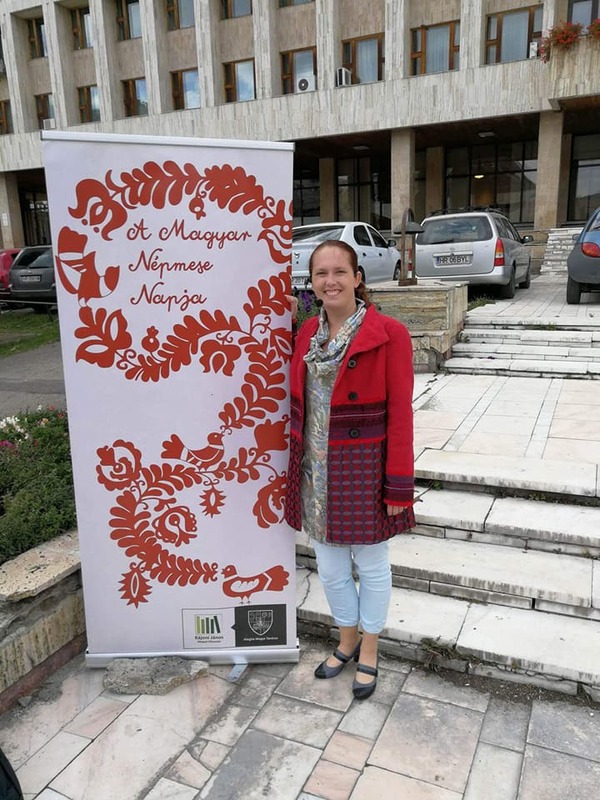 This fall I was invited to be a featured teller at a Hungarian language storytelling festival in Transylvania (which is a region within Romania with a large Hungarian and Hungarian-speaking Székely minority). I could not have been more excited about the invitation. The last time I visited Transylvania I was 9 years old, and the place stuck in my memory as a land of endless beauty and magic. In addition, the program they requested also holds special meaning to me: My new storytelling show, titled The Cheerful Prince and the Girl with Red-gold Hair, contains folktales from my upcoming collection, Dancing on Blades (available January 2018). These stories, collected from uniquely talented folk teller Pályuk Anna at the turn of the last century, have been with me since the beginning of my storytelling career, and I am just as much in love with them now as I was 10 years ago. I finished the last round of editing on the book the day before I left for the festival. The festival, attached to the Day of the Hungarian Folktale (September 30), lasted a whole week. I visited three cities, and had eight performances. The first two days were spent at the Székely National Museum, where schools brought in groups of children to listen to stories. To the little ones I told world folktales (Utgard-Loki and the Pumpkin Girl won best of show), while for the 6th graders I brought dragon legends (including Dietrich and Sistram), and medieval stories such as Dame Ragnell. I also had the chance to tell in an almost 500 year old fortress church in Sepsiszentgyörgy (Sfântu Gheorghe). 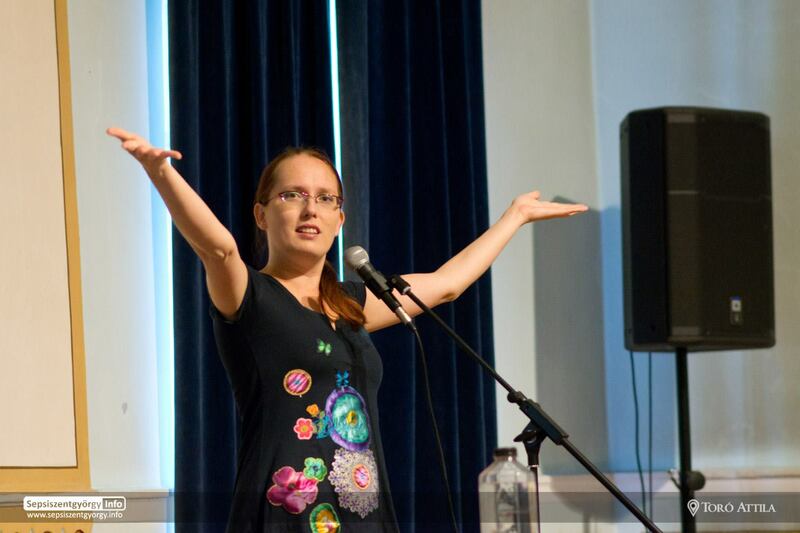 The audience consisted of the local Calvinist community, parents and children together, and there was a special magic to telling tales with values (kindness, love, hard work) inside the medieval walls. In Csíkszereda (Miercurea Ciuc) I told tales on the main square on a chilly yet sunny day, surrounded by children, curious adults, and various TV reporters (watch the video here). It was a dubious choice to make the kids stand in the cold wind, but they cheerfully followed me into the stories, and listened while they wiggled. The best moment of the whole day was when I told Pályuk Anna's tale about the Boy who walked on the clouds, and we all looked up at the fluffy clouds above us while I was telling. It was a bright, unforgettable experience. In Marosvásárhely (Târgu Mureș) I told at the Spectrum Theater, to an audience of almost 100 people (and therefore a lovely full house). There were children in the audience, but a lot less than adults, so I could bring out the tale of the Cheerful Prince (Anna's lovely, mother-in-law-positive variant of Rumpelstiltskin), which speaks to adults through emotion and imagery. It was my first time telling it in Hungary (English-speaking audiences always love it), and it worked great. Returning to Sepsiszentgyörgy for the actual Day of the Hungarian Folktale, we closed the festival with a two-hour storytelling event. In the first hour I told tales from Dancing on Blades (once again, we had a fairly full house of about 100 people), and then handed the stage over to two Csángó tradition-bearers, elder ladies who still carry the oral tradition of folktales, and speak in an archaic Hungarian dialect. Their presentation was lively and lovely (and occasionally hilarious, since they were telling Jesus and St. Peter legends), but I had to work hard to follow what they were saying. It was definitely a unique cultural experience. And fun. In the midst of all the telling, I also had time to play tourist a little bit. I visited the former home of Hungary's famous storyteller and story collector Benedek Elek (I would not be a storyteller without him! 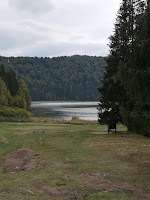 ), the Lake of Saint Anne (according to legend, fairies used to live in it, until they were chased away by the sound of church bell - there's an amazing story about it), Bran Castle (which is a nice historic site, with absolutely nothing to do with Dracula), the Castle of Déva (subject of our most famous folk ballad in which a woman is killed so that the castle can be built), and other famous sites of history and culture. Many of the Hungarian and Székely folktales I read and love were collected in these towns and all over this landscape, which made every river, every mountain, and every castle special, and every forest filled with fairies. 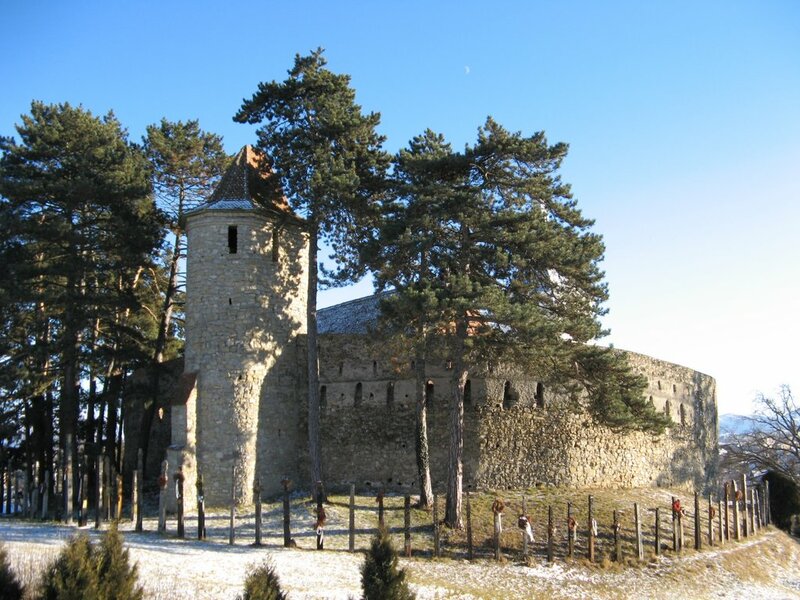 Transylvania is still a land full of history, beauty, and tradition. 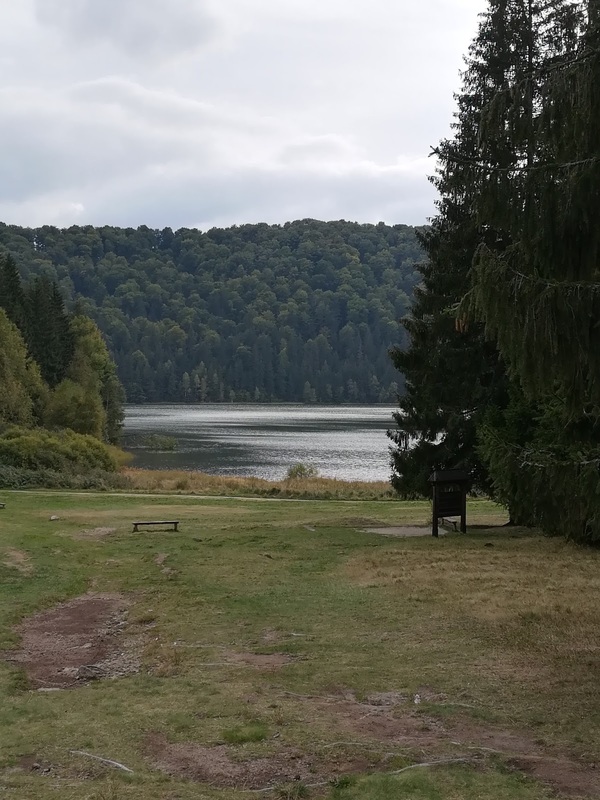 In addition to the travels, I was also grateful for the chance to bring Pályuk Anna's tales to audiences in Transylvania (she was Transcarpathian). The stories took a new life, worked their magic, and, hopefully, will travel on to new places in people's memory. I hope to return again soon. You know, according to scholars, the kids who disappeared in the legend of The Pied Piper may have ended up in Transylvania.